This collection of photo elements graphics is perfect for all your project needs. 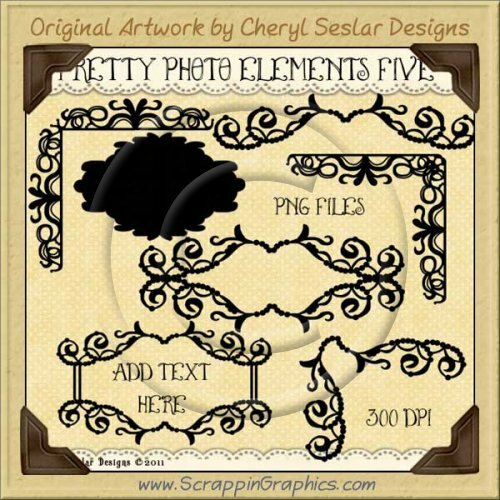 This set includes 8 different sets of clip art graphics of scroll lace photo frames, borders, photo corners, titles, overlays. Great collection for making scrapbook pages, cards, labels, tags, invitations, and other printables.